In myths and legends of different countries and different cultures of the world there are creatures similar to snake-women. 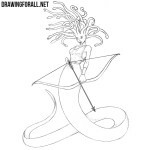 In the previous lessons we have already shown you how to draw Echidna and Medusa Gorgon, and in this tutorial about how to draw a snake-woman we will show you a collective image of such a creature. Let’s start with this very strange skeleton. First of all sketch out a round head and neck in the form of a simple line that goes into the spine and a long snake tail. 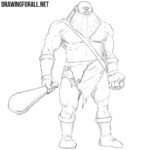 Next sketch out a chest and arms as in our example. 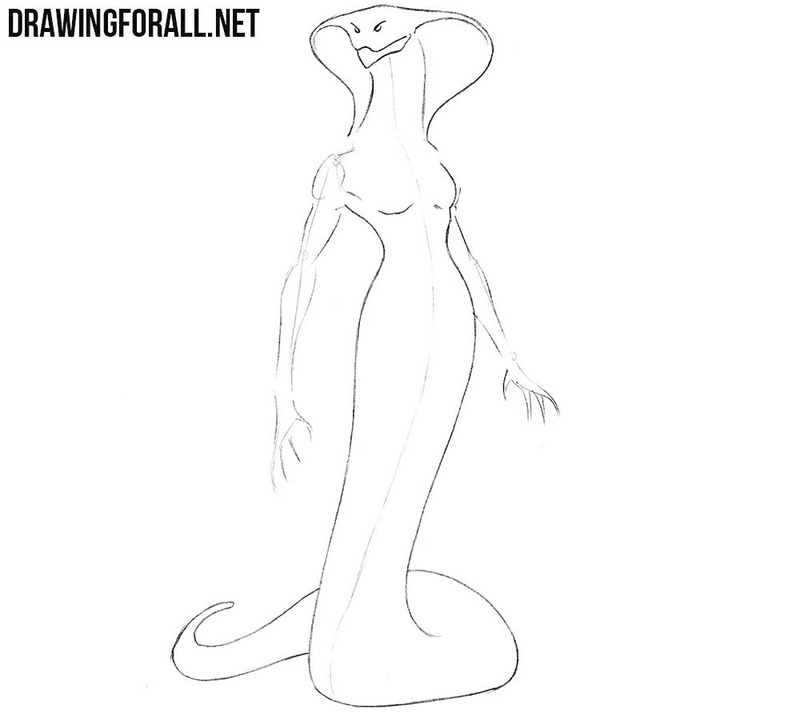 Let’s add some volume to the body of our snake-woman. First sketch out the outlines of the neck and hood. Next, outline the feminine torso that goes into a long tail. 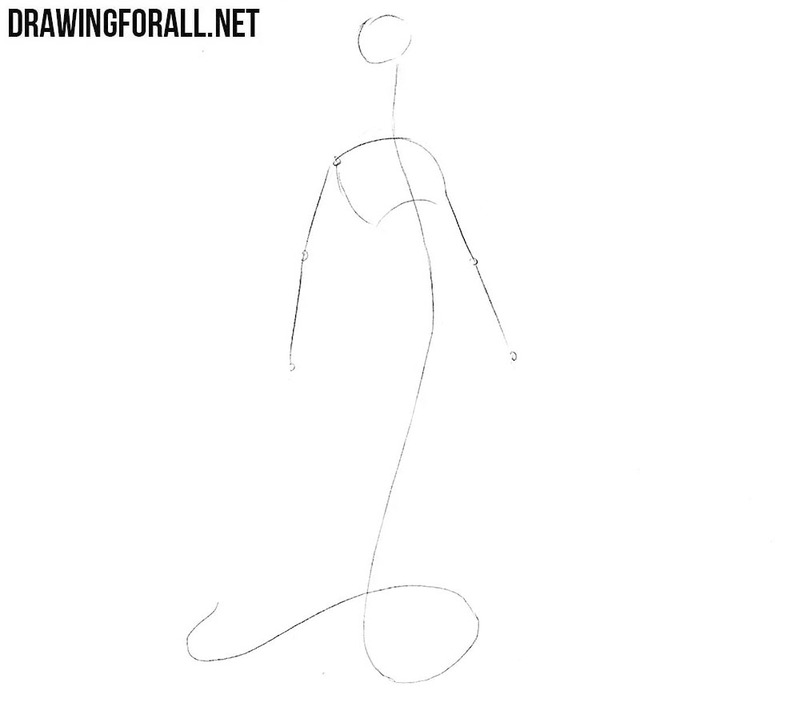 At the end of the step sketch out thin arms with long fingers. Now let’s take work with the details of the woman-snake. Carefully draw out the outlines of the head, eyes and large snake mouth. 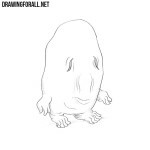 We continue to draw the details on the head of the creature. Using long and curved lines, carefully draw out the outlines of the hood and long neck. Now, using very long and smooth lines, carefully draw out the shape of the torso and the long tail. Note that the torso strongly narrows in the waist and widens in the area of the hips. Now let’s take care of the arms. With the help of clear and smooth lines carefully draw out the outlines of thin and wiry arms with long fingers and sharp claws. And of course here we delete all the remaining guidelines. The snake-woman drawing is almost complete, and we only need to make it more realistic. In order to achieve this, we will add some shadows using light hatching. Today we showed you how to draw a snake-woman, in myths this creature is also called Lamia, so we can say that today we showed you how to draw Lamia. 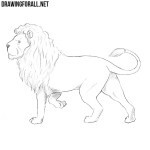 If you are interested in the theme of mythical creatures, then visit the category called “Myths and Legends” on DrawingForAll in order to learn drawing different monsters and heroes.